Are there Evangelists today? Owen takes this question on and demonstrates, quote effectively, that Evangelists are an office used only during the time of the early church. THE spiritual gifts whereof we treat respect either powers and duties in the church, or duties only. Gifts that respect powers and duties are of two sorts, or there have been, or are at any time, two sorts of such powers and duties, the first whereof was extraordinary, the latter ordinary, and consequently the gifts subservient unto them must be of two sorts also; which must farther be cleared. Wherever power is given by Christ unto his churches, and duties are required in the execution of that power, unto the ends of his spiritual kingdom, to be performed by virtue thereof, there is an office in the church; for an ecclesiastical office is an especial power given by Christ unto any person or persons for the performance of especial duties belonging unto the edification of the church in an especial manner. And these offices have been of two sorts; — first, extraordinary; secondly, ordinary. Some seem to deny that there was ever any such thing as extraordinary power or extraordinary offices in the church, for they do provide successors unto all who are pleaded to have been of that kind; and those such as, look how far short they come of them in other things, do exceed them in power and rule. I shall not contend about words, and shall therefore only inquire what it was that constituted them to be officers of Christ in his church whom thence we call extraordinary; and then, if others can duly lay claim unto them, they may be allowed to pass for their successors. 1. An extraordinary call unto an office, such as none other has or can have, by virtue of any law, order, or constitution whatever. 2. An extraordinary power communicated unto persons so called, enabling them to act what they are so called unto, wherein the essence of any office doth consist. 3. Extraordinary gifts for the exercise and discharge of that power. 4. Extraordinary employment as to its extent and measure, requiring extraordinary labor, travail, zeal, and self-denial. All these do and must concur in that office and unto those offices which we call extraordinary. Thus was it with the apostles, prophets, and evangelists at the first, which were all extraordinary teaching officers in the church, and all that ever were so, 1 Corinthians 12:28; Ephesians 4:11. Besides these, there were, at the first planting of the church, persons endued with extraordinary gifts, as of miracles, healing, and tongues, which did not of themselves constitute them officers, but do belong to the second head of gifts, which concern duties only. Howbeit these gifts were always most eminently bestowed on them who were called unto the extraordinary offices mentioned: 1 Corinthians 14:18, “I thank my God, I speak with tongues more than ye all.” They had the same gift some of them, but the apostle had it in a more eminent degree. See Matthew 10:8. And we may treat briefly in our passage of these several sorts of extraordinary officers: — FIRST, [As] for the apostles, they had a double call, mission, and commission, or a twofold apostleship. Their first call was unto a subserviency unto the personal ministry of Jesus Christ; for he was a “minister of the circumcision for the truth of God, to confirm the promises made unto the fathers,” Romans 15:8. In the discharge of this his personal ministry, it was necessary that he should have peculiar servants and officers under him, to prepare his way and work, and to attend him therein. So “he ordained twelve, that they should be with him, and that he might send them forth to preach,” Mark 3:14. This was the substance of their first call and work, — namely, to attend the presence of Christ, and to go forth to preach as he gave them order. Hence because he was in his own person, as to his prophetical office, the “minister only of the circumcision,” being therein, according to all the promises, sent only to the “lost sheep of the house of Israel,” he confined those who were to be thus assistant unto him in that his especial work and ministry, and whilst they were so, unto the same persons and people, expressly prohibiting them to extend their line or measure any farther. “Go not,” saith he, “into the way of the Gentiles, and into any city of the Samaritans enter ye not: but go rather to the lost sheep of the house of Israel,” Matthew 10:5. This “rather” was absolutely exclusive of the others during his personal ministry, and afterward included only the pre-eminence of the Israelites, that they were to have the gospel offered unto them in the first place: “It was necessary that the word of God should first have been spoken to you,” Acts. 13:46. And this, it may be, occasioned that difference which was after. ward among them, whether their ministry extended unto the Gentiles or no; as we may see, Acts 10 and 11. But whereas our Savior, in that commission by virtue whereof they were to act after his resurrection, had extended their office and power expressly to “all nations,” Matthew 28:19, or to “every creature in all the world,” Mark 16:15, a man would wonder whence that uncertainty should arise. I am persuaded that God suffered it so to be that the calling of the Gentiles might be more signalized, or made more eminent thereby; for whereas this was the great “mystery which in other ages was not made known,” but “hid in God,” namely, “that the Gentiles should be fellow-heirs, and of the same body, and partakers of his promise in Christ” (that is, of the promise made unto Abraham) “by the gospel,” Ephesians 3:3, 5-11, it being now to be laid open and displayed, he would by their hesitation about it have it searched into, examined, tried, and proved, that the faith of the church might never be shaken about it in after ages. And, in like manner, when God at any time suffereth differences and doubts about the truth or his worship to arise in the church, he doth it for holy ends, although for the present we may not be able to discover them. But this ministry of the apostles, with its powers and duties, this apostleship, which extended only unto the church of the Jews, ceased at the death of Christ, or at the end of his own personal ministry in this world; nor can any, I suppose, pretend unto a succession to them therein. Who or what peculiar instruments he will use and employ for the final recovery of that miserable, lost people, whether he will do it by an ordinary or an extraordinary ministry, by gifts miraculous, or by the naked efficacy of the gospel, is known only in his own holy wisdom and counsel. The conjectures of men about these things are vain and fruitless; for although the promises under the Old Testament for the calling of the Gentiles were far more clear and numerous than those which remain concerning the recalling of the Jews, yet because the manner, way, and all other circumstances, were obscured, the whole is called a mystery hid in God from all the former ages of the church. Much more, therefore, may the way and manner of the recalling of the Jews be esteemed a hidden mystery; as indeed it is, notwithstanding the dreams and conjectures of too many. 1. He gave unto them a promise of power for their office, or office-power, Matthew 16:19. So he promised unto them, in the person of Peter, the “keys of the kingdom of heaven,” or a power of spiritual binding and loosing of sinners, of remitting or retaining sin, by the doctrine of the gospel, Matthew 18:18; John 20:23. And this communication of the Holy Ghost was such as gave them a peculiar right and title unto their office, but not a right and power unto its exercise. Galatians 1:1; whereas those who pretend to be their successors, if they will speak the truth, must say that they are what they are neither of Jesus Christ nor God the Father, but of men and by man. However, they neither dare nor will pretend so to be of God and Christ as not to be called by the ministry of man, which evacuates the pretense of succession in this office. SECONDLY, Furthermore; unto the office described there belong the measure and extent of its power objectively, and the power itself intensively or subjectively. For the first, the object of apostolical power was twofold: — 1. The world to be converted; 2. The churches gathered of those that were converted, whether Jews or Gentiles. 1. For the first, their commission extended to all the world; and every apostle had right, power, and authority to “preach the gospel to every creature under heaven,” as he had opportunity so to do, Matthew 28:18-20; Mark 16:15; Romans 10:14-18. Now, whereas it was impossible that any one person should pass through the whole world in the pursuit of this right and power; and whereas, for that cause, our Lord had ordained twelve to that purpose, that the work might the more effectually be carried on by their endeavors, it is highly probable that they did by agreement distribute the nations into certain lots and portions, which they singly took upon them to instruct. So there was an agreement between Paul on the one hand with Barnabas, and Peter, James, and John, on the other, that they should go to the Gentiles, and the other take more especial care of the Jews, Galatians 2:7-9. And the same apostle afterward designed, to avoid the line or allotment of others, to preach the gospel where the people were not allotted unto the especial charge of any other, 2 Corinthians 10:16. But yet this was not so appointed as if their power was limited thereby, or that any of them came short in his apostolical power in any other place in the world, as well as that wherein for conveniency he particularly exercised his ministry; for the power of every one still equally extended unto all nations, although they could not always exercise it in all places alike. Nor did that express agreement that was between Peter and Paul, about the Gentiles and the Circumcision, discharge them of their duty, that the one should have more regard unto the Circumcision or the other unto the Gentiles, nor did it limit their power or bound their apostolical authority, but only directed the exercise of it as unto the principal intention and design. Wherefore, as to the right and authority of preaching the gospel and converting persons unto the faith, the whole world fell equally under the care, and was in the commission of every apostle, although they applied themselves unto the discharge of this work in particular according to their own wisdom and choice, under the guidance and disposal of the providence of God. And, as I will not deny but that it is the duty of every Christian, and much more of every minister of the gospel, to promote the knowledge of Christ unto all mankind, as they have opportunities and advantages so to do; yet I must say, if there be any who pretend to be successors of the apostles as to the extent of their office-power unto all nations, notwithstanding whatever they may pretend of such an agreement to take up with a portion accommodated unto their ease and interest, whilst so many nations of the earth lie unattempted as to the preaching of the gospel, they will one day be found transgressors of their own profession, and will be dealt withal accordingly. 1. It was a power of administering all the ordinances of Christ in the way and manner of his appointment. Every apostle in all places had power to preach the word, to administer the sacraments, to ordain elders, and to do whatever else belonged unto the worship of the gospel. But yet they had not power to do any of these things any otherwise but as the Lord Christ had appointed them to be done. They could not baptize any but believers and their seed, Acts 8:36-38, 16:15. They could not administer the Lord’s supper to any but the church and in the church, 1 Corinthians 10:16, 17, 11:17-34. They could not ordain elders but by the suffrage and election of the people, Acts 14:23. Those, indeed, who pretend to be their successors plead for such a right in themselves unto some, if not all, gospel administrations, as that they may take liberty to dispose of them at their pleasure, by their sole authority, without any regard unto the rule of all holy duties in particular. 2. It was a power of executing all the laws of Christ, with the penalties annexed unto their disobedience. “We have,” saith the apostle, “in a readiness wherewith to revenge all disobedience,” 2 Corinthians 10:6. And this principally consisted in the power of excommunication, or the judiciary excision of any person or persons from the society of the faithful and visible body of Christ in the world. Now, although this power were absolutely in each apostle towards all offenders in every church, — whence Paul affirms that he had himself “delivered Hymeneus and Alexander unto Satan,” 1 Timothy 1:20, — yet did they not exercise this power without the concurrence and consent of the church from whence an of- fender was to be cut off: because that was the mind of Christ, and that which the nature of the ordinance did require, 1 Corinthians 5:3-5. 3. Their whole power was spiritual, and not carnal. It respected the souls, minds, and consciences of men alone as its object, and not their bodies, or goods, or liberties in this world. Those extraordinary instances of Ananias and Sapphira in their sudden death, of Elymas in his blindness, were only miraculous operations of God in testifying against their sin, and proceeded not from any apostolical power in the discharge of their office. But as unto that kind of power which now hath devoured all other appearances of church authority, and in the sense of the most is only significant, — namely, to fine, punish, imprison, banish, kill and destroy men and women, Christians, believers, persons of an unblamable, useful conversation, with the worst of carnal weapons and savage cruelty of mind, — as they were never entrusted with it nor any thing of the like kind, so they have sufficiently manifested how their holy souls, did abhor the thoughts of such antichristian power and practices, though in others the mystery of iniquity began to work in their days. The ministry of the seventy, also, which the Lord Christ sent forth afterward, to “go two and two before his face into every city and place, whither he himself would come,” Luke 10:1-3, was in like manner temporary; that is, it was subservient and commensurate unto his own personal ministry in the flesh. These are commonly called evangelists from the general nature of their work, but were not those extraordinary officers which were afterward in the Christian church under that title and appellation. But there was some analogy and proportion between the one and the other; for as these first seventy seem to have had an inferior work, and subordinate unto that of the twelve in their ministry unto the church of the Jews, during the time of the Lord Christ’s converse among them, so those evangelists that afterward were appointed were subordinate unto them in their evangelical apostleship. And these also, as they were immediately called unto their employment by the Lord Jesus, so their work being extraordinary, they were endued with extraordinary gifts of the Holy Ghost, as verses 9, 17, 19. In the gospel church-state there were evangelists also, as they are mentioned, Ephesians 4:11; Acts 21:8; 2 Timothy 4:5; — gospellers, preachers of the gospel, distinct from the ordinary teachers of the churches Things, I confess, are but obscurely delivered concerning this sort of men in Scripture, their office being not designed unto a continuance. Probably the institution of it was traduced from the temporary ministry of the seventy before mentioned. That they were the same persons continued in their first office, as the apostles were, is uncertain and improbable, (though it be not [improbable] that some of them might be called thereunto); as Philip, and Timothy, and Titus, were evangelists that were not of that first number. Their especial call is not mentioned, nor their number anywhere intimated. That their call was extraordinary is hence apparent, in that no rules are anywhere given or prescribed about their choice or ordination, no qualification of their persons expressed, nor any direction given the church as to its future proceeding about them, no more than about new or other apostles. They seem to have been called by the apostles, by the direction of a spirit of prophecy or immediate revelation from Christ. So it is said of Timothy, who is expressly called an evangelist, 2 Timothy 4:5, that he received that gift “by prophecy,” 1 Timothy 4:14, that is, the gift of the office, — as when Christ ascended, he “gave gifts unto men, some to be evangelists,’’ Ephesians 4:8, 11, — for this way did the Holy Ghost design men unto extraordinary offices and employments, Acts. 13:1-3. And when they were so designed by prophecy, or immediate revelation from Christ by the Holy Ghost, then the church in compliance therewith, both “prayed for them” and “laid their hands on them.” So when the Holy Ghost had revealed his choosing of Paul and Barnabas unto an especial work, the prophets and teachers of the church of Antioch, where they then were, “fasted and prayed, and laid their hands on them,” so sending them away, Acts 13:3. And when Timothy was called to be an evangelist by especial revelation or prophecy, the apostle laid his hands on him, whereby he received the Holy Ghost in his extraordinary gifts: “The gift of God, which is in thee by the putting on of my hands,” 2 Timothy 1:6. And as it was usual with him to join others with himself in those epistles which he wrote by immediate divine inspiration, so in this act of laying his hands on an evangelist, as a sign of the communication of extraordinary gifts, he joined the ordinary presbytery of the church with him that were present in the place where he was so called. It is evident, therefore, that both their call and their gifts were extraordinary, and therefore so also was their office: for although men who have only an ordinary call to office may have extraordinary gifts, and many had so in primitive times; and although some might have extraordinary gifts who were never called unto office at all, as some of those who spake with tongues and wrought miracles, — yet where there is a concurrence of an extraordinary call and extraordinary gifts, there the office is extraordinary. 1. To preach the gospel in all places and unto all persons, as they had occasion. So Philip went down to Samaria and “preached Christ,” Acts 8:5. And when the apostle Paul chargeth Timothy to “do the work of an evangelist,” 2 Timothy 4:5, he prescribes unto him “preaching the word in season and out of season,” verse 2. And whereas this was incumbent in like manner on the ordinary teachers of every church, the teaching of these evangelists differed from theirs in two things: — (1.) In the extent of their work, which, as we showed before, was equal unto that of the apostles; whereas ordinary bishops, pastors, or teachers, were to feed, teach, and take care of the especial flocks only which they were set over, Acts 20:17, 28; 1 Peter 5:2. (2.) They were obliged to labor in their work in a more than ordinary manner, as it should seem from 2 Timothy 4:2, 5. 2. The second part of their work was to confirm the doctrine of the gospel by miraculous operations, as occasion did require. So Philip the evangelist wrought many miracles of sundry sorts at Samaria, in the confirmation of the doctrine which he taught, Acts 8:6, 7, 13. And, in like manner, there is no question but that the rest of the evangelists had the power or gift of miraculous operations, to be exercised as occasion did require, and as they were guided by the Holy Ghost. 3. They were employed in the settling and completing of those churches whose foundations were laid by the apostles; for whereas they had the great work upon them of “preaching the gospel unto all nations,” they could not continue long or reside in any one place or church. And yet when persons were newly converted to the faith, and disposed only into an imperfect order, without any especial peculiar officers, guides, or rulers of their own, it was not safe leaving them unto themselves, lest they should be too much at a loss as to gospel order and worship. Wherefore, in such places where any churches were planted but not completed, nor would the design of the apostles suffer them to continue any longer there, they left these evangelists among them for a season, who had power, by virtue of their office, to dispose of things in the churches until they came unto completeness and perfection. When this end was attained, and the churches were settled under ordinary elders of their own, the evangelists removed unto other places, according as they were directed or disposed. These things are evident from the instructions given by Paul unto Timothy and Titus, which have all of them respect unto this order. 2. That there is no need of their continuance from any work applied unto them. 1. And, (1.) The things that are essential unto the office of an evangelist are unattainable at present unto the church; for where no command, no rule, no authority, no directions, are given for the calling of any officer, there that office must cease, as doth that of the apostles, who could not be called but by Jesus Christ. What is required unto the call of an evangelist was before declared; and unless it can be manifested, either by institution or example, how any one may be otherwise called unto that office, no such office can be continued, for a call by prophecy or immediate revelation none now will pretend unto, and other call the evangelists of old had none. Nor is there in the Scripture the least mention of the call or appointment of any one to be an ecclesiastical officer in an ordinary stated church, but with relation unto that church whereof he was, or was to be, an officer. But an evangelist, as such, was not especially related unto any one church more than another, though, as the apostles themselves, they might for a time attend unto the work in one place or church rather or more than another. Wherefore, without a call from the Holy Ghost, either immediate by prophecy and revelation, or by the direction of persons infallibly inspired, as the apostles were, none can be called to be evangelists, nor yet to succeed them under any other name in that office. Wherefore, the primitive church after the apostles’ time never once took upon them to constitute or ordain an evangelist, as knowing it a thing beyond their rule and out of their power. Men may invade an office when they please, but unless they be called unto it, they must account for their usurpation. And as for those who have erected an office in the church, or an episcopacy, principally if not solely out of what is ascribed unto these evangelists, namely, to Timothy and Titus, they may be farther attended unto in their claim when they lay the least pretense unto the whole of what is ascribed unto them. But this “doing the work of an evangelist” is that which few men care for or delight in; only their power and authority, in a new kind of menagerie, many would willingly possess themselves of. (3.) There are not any now who do pretend unto their principal employment by virtue of office, nor can so do; for it is certain that the principal work of the evangelists was to go up and down, from one place and nation unto another, to preach the gospel unto Jews and Gentiles as yet unconverted, and their commission unto this purpose was as large and extensive as that of the apostles. But who shall now empower any one hereunto? What church, what persons, have received authority to ordain any one to be such an evangelist? or what rules or directions are given as to their qualifications, power, or duty, or how they should be so ordained? It is true, those who are ordained ministers of the gospel, and others also that are the disciples of Christ, may and ought to preach the gospel to unconverted persons and nations as they have opportunity, and are particularly guided by the providence of God; but that any church or person has power or authority to ordain a person unto this office and work cannot be proved. 2. Lastly, The continuance of the employment as unto the settling of new planted churches is no way necessary; for every church, being planted and settled, is entrusted with power for its own preservation and continuance in due order according to the mind of Christ, and is enabled to do all those things in itself which at first were done under the guidance of the evangelists, nor can any one instance be given wherein they are defective. And where any church was called and gathered in the name of Christ, which had some things yet wanting unto its perfection and complete order, which the evangelists were to finish and settle, they did it not hut in and by the power of the church itself, only presiding and directing in the things to be done. And if any churches, through their own default, have lost that order and power which they were once established in, as they shall never want power in themselves to recover their pristine estate and condition, who will attend unto their duty according unto rule to that purpose, so this would rather prove a necessity of raising up new evangelists, of a new extraordinary ministry, on the defection of churches, than the continuance of them in the church rightly stated and settled. 1. Sometimes an extraordinary office and extraordinary gifts are signified by them; and, 2. Sometimes extraordinary gifts only; and, 3. Sometimes an ordinary office with ordinary gifts, and sometimes ordinary gifts only. And unto one of these heads may the use of the word be everywhere reduced. that is, in all the cities he passed through where there were churches planted and prophets in them. These things the churches then stood in need of, for their confirmation, direction, and comfort; and were, therefore, I suppose, most of them supplied with such officers for a season, — that is, whilst they were needful. And unto this office, though expressly affirmed to be “set in the church,” and placed between the apostles and the evangelists, none, that I know of, do pretend a succession. All grant that they were extraordinary, because their gift and work were so; but so were those of evangelists also. But there is no mention of the power and rule of those prophets, or else undoubtedly we should have had, on one pretense or ether, successors provided for them! Their prophesying, which was their declaration of spiritual things by immediate revelation, was of the same nature with their speaking with tongues; both were extraordinary gifts and operations of the Holy Ghost. And of this sort were those miracles, healings, and tongues, which God for a time set in the church, which did not constitute distinct officers in the church, but they were only sundry persons in each church which were endued with these extraordinary gifts for its edification; and therefore are they placed after teachers, comprising both, which were. the principal sort of the ordinary continuing officers of the church, 1 Corinthians 12:28. And of this sort do I reckon those prophets to be who are treated of, 1 Corinthians 14:29-33; for that they were neither stated officers in the churches nor yet the brethren of the church promiscuously, but such as had received an especial extraordinary gift, is evident from the context. See verses 30, 37. Prophecy here can intend nothing but teaching or preaching, in the exposition and application of the word; for an external rule is given unto it, in that it must be done according to the “proportion of faith,” or the sound doctrine of faith revealed in the Scripture. And this ever was, and will ever continue to be, the work and duty of the ordinary teachers of the church, whereunto they are enabled by the gifts of Christ, which they receive by the Holy Ghost, Ephesians 4:7, as we shall see more afterward. And hence also those who are not called unto office, who have yet received a gift enabling them to declare the mind of God in the Scripture unto the edification of others, may be said to “prophesy.” And these things I thought meet to interpose, with a brief description of those officers which the Lord Jesus Christ granted unto his church for a season, at its first planting and establishment, with what belonged unto their office, and the necessity of their work; for the collation of them on the church, and their whole furniture with spiritual gifts, was the immediate work of the Holy Ghost, which we are in the declaration of. And withal it was my design to manifest how vain is the pretense of some unto a kind of succession, unto these officers, who have neither an extraordinary call, nor extraordinary gifts, nor extraordinary employment, but only are pleased to assume an extraordinary power unto themselves over the churches and disciples of Christ, and that such as neither evangelists, nor prophets, nor apostles, did ever claim or make use of. But this matter of power is fuel in itself unto the proud, ambitious minds of Diotrephists, and as now circumstanced, with other advantages, is useful to the corrupt lusts of men; and, therefore, it is no wonder if it be pretended unto and greedily reached after, by such as really have neither call to the ministry, nor gifts for it, nor do employ themselves in it. And, therefore, as in these extraordinary officers and their gifts did consist the original glory and honor of the churches in an especial manner, and by them was their edification carried on and perfected; so by an empty pretense unto their power, without their order and spirit, the churches have been stained, and deformed, and brought to destruction. But we must return unto the consideration of extraordinary spiritual gifts, which is the especial work before us. Ver. 5. — And ye have forgotten the exhortation which speaketh unto you as unto children, My son, despise not thou the chastening of the Lord, nor faint [or wax weary] when thou art rebuked of him. The apostle in these words proceeds unto a new argument, whereby to press his exhortation unto patience and perseverance under suffering. And this is taken from the nature and end, on the part of God, of all those sufferings which he sends or calls us unto. For they are not only necessary, as testimonies unto the truth, but as unto us they are chastisements and afflictions, which we stand in need of, and wherein God hath a blessed design towards us. And this argument he enforceth, with sundry considerations, unto the end of verse 13. Hereby doth God defeat the counsels and expectations of the world, having a design to accomplish by their agency which they know nothing of. For those very reproaches, imprisonments, and stripes, with the loss of goods, and danger of their lives, which the world applies unto their ruin, God at the same time makes use of for their refining, purifying, consolation, and joy. In all these things are the divine wisdom and goodness of God, in contriving and effecting all these things unto the glory of his grace and the salvation of the church, for ever to be admired. 1. The connection of them unto those foregoing. 2. The introduction of a new argument, by a reference unto a divine testimony; and the nature of the argument, which consists in an exhortation unto duty. 3. Their former want of a due consideration of it. 5. The matter of it, expressed in two branches, containing the substance of the duty exhorted unto. 1. The connection is in the conjunctive particle, “for.” It denotes a reason given of what went before. Wherefore there is in the foregoing words a tacit rebuke, namely, in that they were ready to faint under the lesser trials wherewith they were exercised. And the apostle gives here an account how and whence it was so with them; and makes that the means of the introduction of the new argument which he designed; as is his manner of proceeding in this whole epistle. ‘The reason,’ saith he, ‘why it is so with you, that you are so ready to faint, is, because you have not attended unto the direction and encouragement which are provided for you.’ And this, indeed, is the rise of all our miscarriages, namely, that we attend not unto the provision that is made in the Scripture for our preservation from them. 2. The introduction of his argument is by reference unto a divine testimony of Scripture, wherein it is contained, and that appositely unto his purpose; for it is proposed in the way of an exhortation. And as this was of great force in itself, so the Hebrews might see therein that their case was not peculiar; that it was no otherwise with them than with others of the children of God in former ages; and that God had long before laid in provision for their encouragement: which things give great weight unto the argument in hand. And it hath force also from the nature of it, which is hortatory in the name of God. For divine exhortations unto duty, — wherein He entreats who can and doth command, — are full of evidences of love, condescension, and concernment in our good. And it is the height of pride and ingratitude not to comply with God’s entreaties. Obs. V. The want of a diligent consideration of the provision that God hath made in the Scripture for our encouragement unto duty and comfort under difficulties, is a sinful forgetfulness, and of dangerous consequence unto our souls. — We shall be left to fainting. For “whatsoever things were written aforetime were written for our learning, that we through patience and comfort of the Scriptures might have hope,” Romans 15:4. Again; in their trials, and to prevent their fainting, the apostle sends these Hebrews unto the Scriptures: which, as it proves that they ought to be conversant in them, demonstrates the springs of all spiritual strength, direction, and consolation, to be contained in them. And if this be the mind of Christ, then he that would deprive the people of the constant, daffy use of the Scriptures, is Antichrist. 4. In the manner of the exhortation, “Which speak eth unto you as unto children,” there are sundry things very remarkable. (1.) It is said to speak. The Scripture is not a dumb and silent letter, as some have blasphemed. 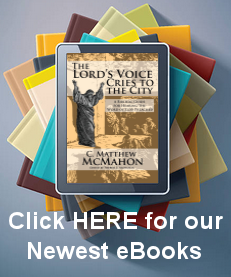 It hath a voice in it, — the voice of God himself. And speaking is frequently ascribed unto it, John 7:42, 19:37; Romans 4:3, 9:17, 10:11; Galatians 4:30; James 4:5, And if we hear not the voice of God in it continually, it is because of our unbelief, Hebrews 3:7,15. (2.) The word which was spoken so long before by Solomon unto the church in his generation, is said to be spoken unto these Hebrews For the Holy Ghost is always present in the word of the Scripture, and speaks in it equally and alike unto the church in all ages. He doth in it speak as immediately unto us as if we were the first and only persons unto whom he spake. And this should teach us with what reverence we ought to attend unto the Scripture, namely, as unto the way and means whereby God himself speaks directly unto us. (3.) The word here used is peculiar, and in this only place applied unto the speaking of the Scripture. Dialegetai, — it “argues,” it “pleads,” it maintains a holy conference with us It presseth the mind and will of God upon us. And we shall find the force of its arguing, if we keep it not off by our unbelief. Obs. VI. Usually God gives the most evident pledges of their adoption unto believers when they are in their sufferings, and under their afflictions. — Then do they most stand in need of them; then do they most set off the love and care of God towards us. “My son,” is an appellation that a wise and tender father would make use of, to reduce his child to consideration and composure of mind, when he sees him nigh unto disorder or despondency, under pain, sickness, trouble, or the like: ‘“My son,” let it not be thus with thee.’ God sees us, under our afflictions and sufferings, ready to fall into discomposures, with excesses of one kind or another; and thereon applies himself unto us with this endearing expression, “My children.” ‘But if God have this kindness for believers, and no affliction or suffering can befall them but by his ordering and disposition, why doth he not prevent them, and preserve them in a better state and condition?’ I answer, that the wisdom, the love, the necessity of this divine dispensation, is that which the apostle declares in the following verses, as we shall see. Although it be God himself principally that speaks the words in the first person, yet here he is spoken of in the third; — “of the Lord,” and “of him;” for “my,” and “by me: “ which is usual in Scripture, and justifieth our speaking unto God in prayer sometimes in the second, sometimes in the third person. All our miscarriages under our sufferings and afflictions may be reduced unto these two heads. And we are apt to fall into one of these extremes, namely, either to despise chastisements, or to faint under them. [1.] The word is variously rendered,” doctrine,” “institution,” “correction,” “chastisement,” “discipline.” And it is such correction as is used in the liberal, ingenuous education of children by their parents, as is afterwards declared. We render it “nurture,” Ephesians 6:4; where it is joined with nouqesia, that is, “instruction.” And 2 Timothy 3:16, it is distinguished both from “reproof” and “correction;” whence we render it “instruction.” And paideuw, the verb, is used in both these senses; sometimes “to teach,” or “to be taught, learned, instructed,” Acts 7:22, 22:3; 1 Timothy 1:20; 2 Timothy 2:25: sometimes “to correct” or “chastise,” Luke 23:16,22; 1 Corinthians 11:32; Revelation 3:19. Wherefore it is a “correction for instruction.” So it is expressed by the psalmist: “Blessed is the man whom thou chastenest, O LORD, and teachest him out of thy law,” Psalm 94:12. So doth God deal with his children; so is it necessary that he should do. It is needful that divine institution or instruction should be accompanied with correction. We stand in need of it in this world. But that which I would principally look on in the words, is the application of this exhortation unto us under sufferings, troubles, and persecutions for the gospel, which is here used by the apostle. For whereas we can see nothing in them but the wrath and rage of men, thinking them causeless, and perhaps needless; they are indeed God’s chastisements of us, for our education and instruction in his family. And if we duly consider them as such, applying ourselves to learn what we are taught, we shall pass through them more to our advantage than usually we do. Let us bend our minds unto that which is the proper work that in our persons we are called unto, and we shall find the benefit of them all. (2dly.) Stout-heartedness; it may be they are but in smaller things, as we esteem them, such as we may bear with the resolution of men, without any especial application unto the will of God in them. (3dly.) The end. which he aims at, which is our instruction and sanctification. (3dly.) In the exercise of faith for supportment under them, etc. Where there is a want of these things, we are said interpretatively to “despise the chastening of the Lord;” because we defeat the end and lose the benefit of them no less than if we did despise them. Obs. VII. It is a tender case to be under troubles and afflictions, which requires our utmost diligence, watchfulness, and care about it. — God is in it, acting as a father and a teacher. If he be not duly attended unto, our loss by them will be inexpressible. (2.) The second caution is, that we “faint not when we are reproved;” for this is the second evil which we are liable unto, under troubles and afflictions. [1.] The word, both in the Hebrew and in the Greek, signifies “a reproof by rational conviction.” The same thing materially with that of “chastisement” is intended; but under this formal consideration, that there is in that chastisement a convincing reproof. God, by the discovery unto ourselves of our hearts and ways, it may be in things which we before took no notice of, convinceth us of the necessity of our troubles and afflictions. He makes us understand wherefore it is that he is displeased with us. And what is our duty hereon is declared, Habakkuk 2:1-4; namely, to accept of his reproof, to humble ourselves before him, and to betake ourselves unto the righteousness of faith for relief. 1st. Despondency and heartless dejection in our own minds; which David encourageth himself against, Psalm 42:5,6, 43:5. 2dly. Heartless complaints, to the discouragement of others. See Hebrews 12:12,13. 3dly. Omission, or giving over our necessary duty; which befalls many in times of persecution, Hebrews 10:25,26. Obs. VIII. That when God’s chastisements in our troubles and afflictions are reproofs also, when he gives us a sense in them of his displeasure against our sins, and we are reproved by him; yet even then he requires of us that we should not faint nor despond, but cheerfully apply ourselves unto his mind and calls. — This is the hardest case a believer can be exercised withal, namely, when his troubles and afflictions are also in his own conscience reproofs for sin. Obs. X. A due consideration of this sacred truth, namely, that all our troubles, persecutions, and afflictions, are divine chastisements and reproofs, whereby God evidenceth unto us our adoption, and his instructing us for our advantage, is an effectual means to preserve us in patience and perseverance unto the end of our trials. — They who have no experience of it, have no knowledge of these things.